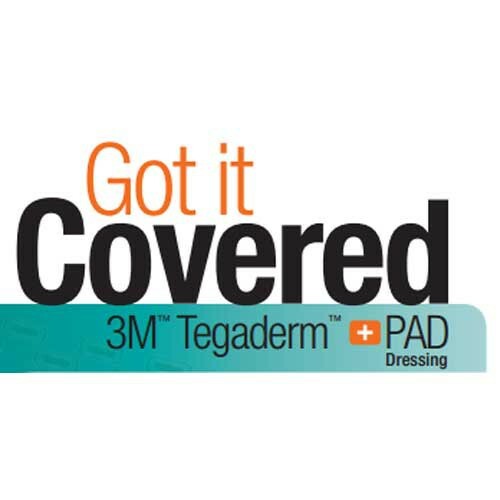 3M Tegaderm +Pad Transparent Dressing combines a sterile dressing, the central part of wound care, with a breathable and waterproof bacterial barrier. The Tegaderm +Pad Dressing is ideal for cuts, burns and abrasions. 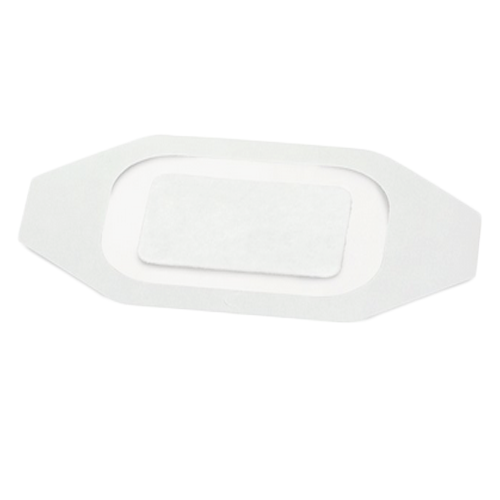 The dressing's non-adherent pad won't stick to the wound and add further trauma when the dressing is removed. 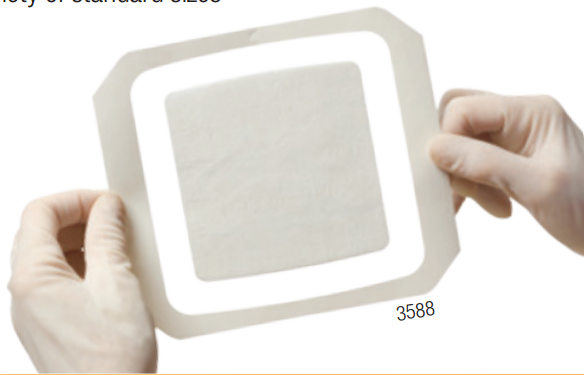 This transparent dressing is designed with an absorbent inner layer pad with an outer breathable film layer. This pairing allows for an exchange of both moisture vapor and oxygen. 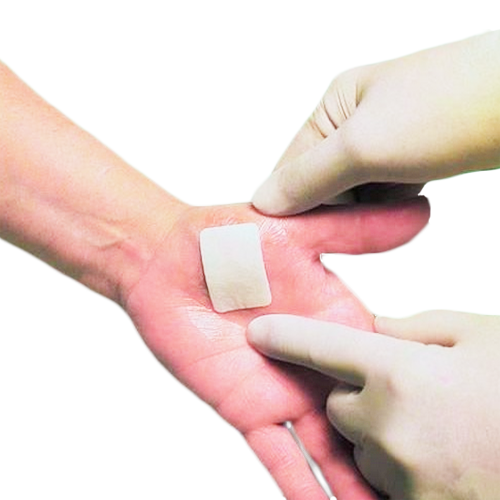 Studies have proven that a moist wound environment will enhance healing and lessen pain. 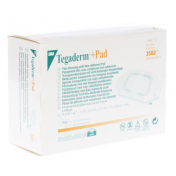 Tegaderm Plus Pad Transparent Dressings are offered in a variety of sizes but is especially ideal for wounds located on the foot, ankle, wrist or hand. The unique Picture Frame delivery system makes for a quick, easy and precise application to the affected area. 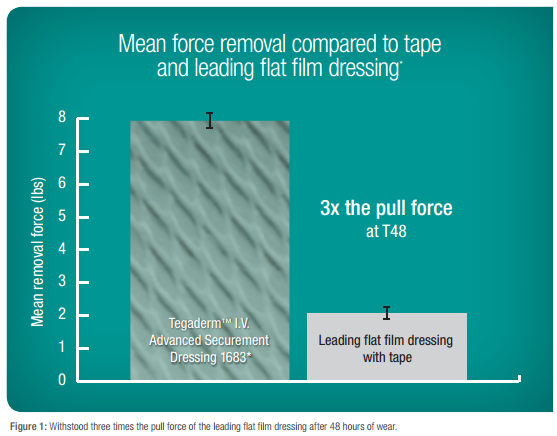 The dressing is pliable and stretches for movement which is especially important for application on the foot and hand. The comfort plus mobility in the dressing permitting a longer wearing time. 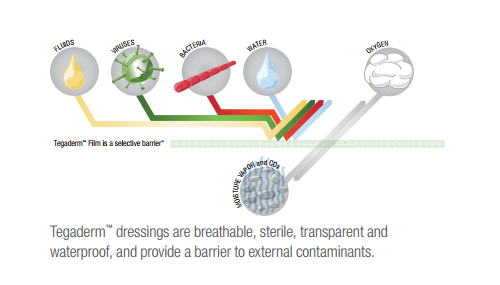 The dressing's staying-power is also due to the waterproof bacterial barrier. 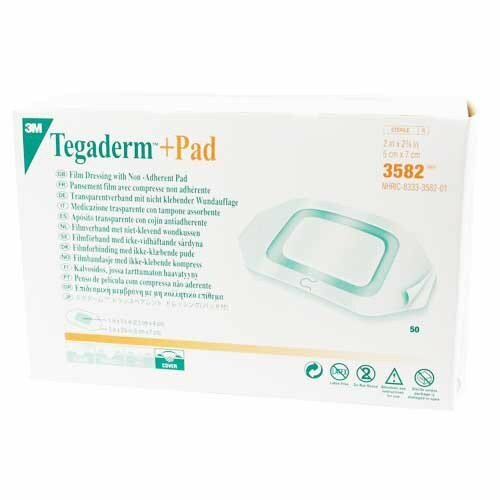 This permits patients to shower and function normally as well as shield the wound from outside contaminates and bacteria, most importantly, the spread of MRSA into the site. 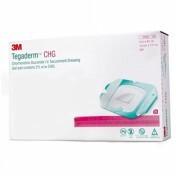 3M manufactures other similar adhesive bandage products, such as Tegaderm Transparent Film, CHG IV Securement, and the Hydrocolloid Dressing. 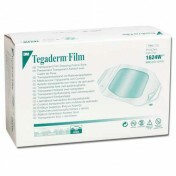 Designed with a waterproof bacterial barrier of film on the outside. 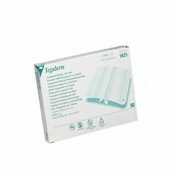 Equipped with absorbent pad on the inner layer. 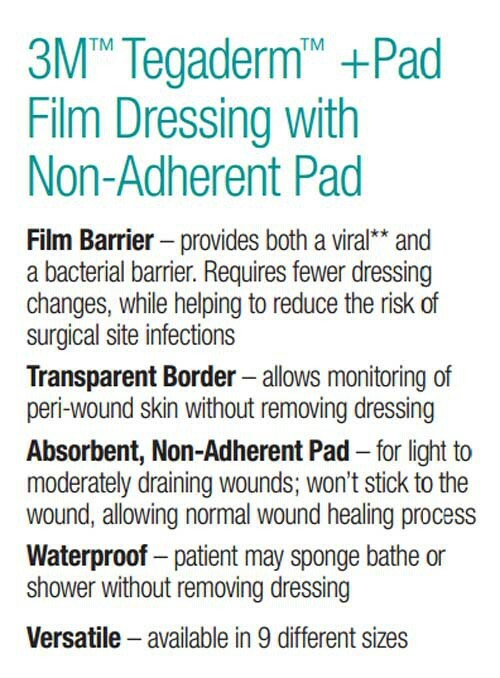 All-in-one dressing reduces application time. Unique picture frame delivery system. 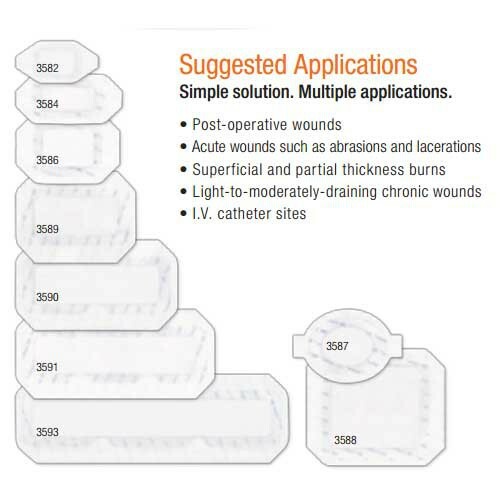 Advanced protection for wounds and surgical incisions. Product Numbers: 3582, 3584, 3586, 3587, 3589, 3590, 3591, 3593. Size: OD 2 x 2 3/4 Inch, ID 1 x 1 1/2 Inch (3582), OD 2 3/8 x 4 Inch, ID 1 x 2 3/8 Inch (3584), OD 3 1/2 x 4 Inch, ID 1 3/4 x 2 3/8 Inch (3586), OD 3 1/2 x 4 1/8 Inch, Oval (3587), OD 6 x 6 Inch, ID 4 x 4 Inch (3588), OD 3.5 x 6 Inch, ID 1.5 x 4 Inch (3589), OD 3.5 x 8 Inch, ID 1 3/4 x 6 Inch (3590), OD 3.5 x 10 Inch, ID 1 3/4 x 8 Inch (3591), OD 3.5 x 13 3/4 Inch, ID 1 3/4 x 11 3/4 Inch (3593). 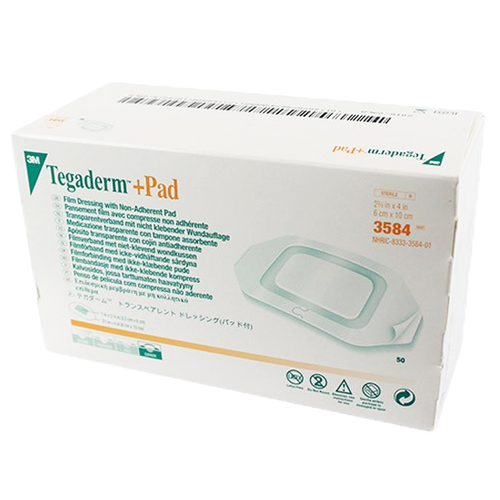 Brochure for +Pad Dressings provides features and benefits for this Tegaderm bandage. 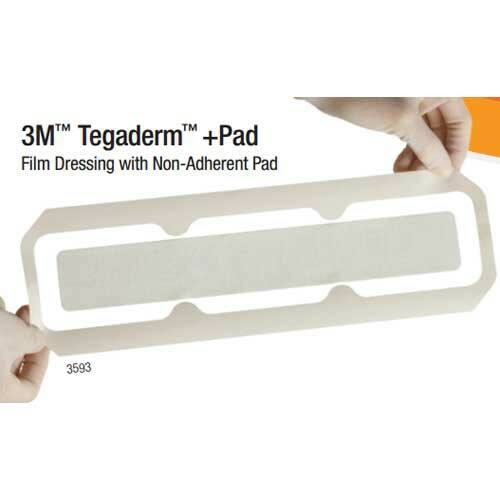 Tegaderm +Pad Flyer offers key elements of this 3M dressing. 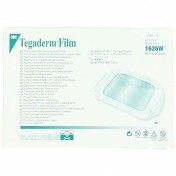 +Pad Highlights portrays the key advantages of this transparent film. 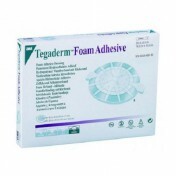 Application Information contains instructions for using this wound care product. 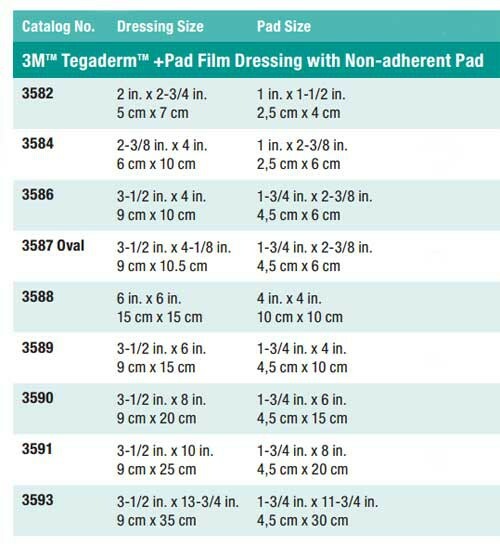 Application Chart displays the different uses for these dressings. FAQ's provides answers to commonly asked questions. Package Insert Card offers details for use, removal and storage. 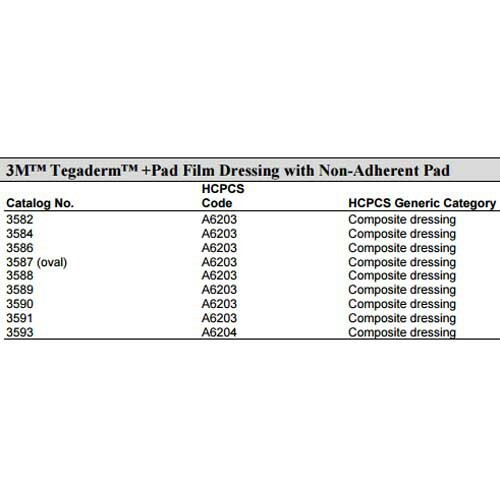 MSDS information for this dressing. Are you spending too much time in the O.R. with tape and gauze? 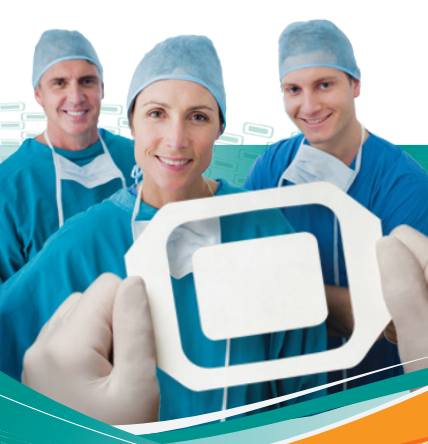 Are you worried about surgical site infections? Watch Nurse Marcia as she struggles to apply tape and gauze over her patient’s surgical incision. Nurse Sandy can't believe how much time it takes to apply the tape. If Nurse Marcia knew it cost $66 a minute in the O.R., she might choose a less time-consuming method. 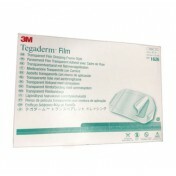 Nurse Sandy has the easier solution with the Tegaderm +Pad Film Dressing. It takes less than 30 seconds to apply and it’s waterproof. 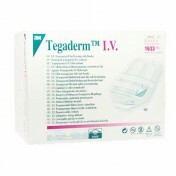 Plus, it’s an all-in-one application that provides a viral and bacterial barrier. A single surgical site infection can cause the facility up to $29,000 per Healthcare-Acquired Infection depending on the pathogen and procedure. 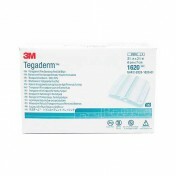 Nurse Marcia would have to use 64 layers of gauze to get the same level of protection against viral and bacterial infections as the Tegaderm +Pad Film Dressing. Good luck taping over that. And you’ll have to do it again tomorrow to change the dressing. 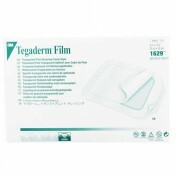 Nurse Marcia is grateful she learned about Tegaderm +Pad Film Dressing. Your patients will thank you too. “And I can take a shower later in the afternoon. It’s waterproof. It saves time and money. It requires fewer dressing changes. 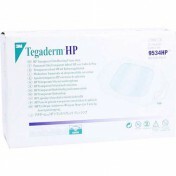 It helps reduce the risk of Surgical Site Infections and provides a viral and bacterial barrier. Try it today. Does everything it claims to do and is very easy to apply. Is waterproof, absorbent and stays in place. Great for keeping areas dry while showering. 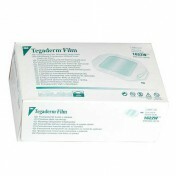 We use this product to cover an area and keep it waterproof while showering. 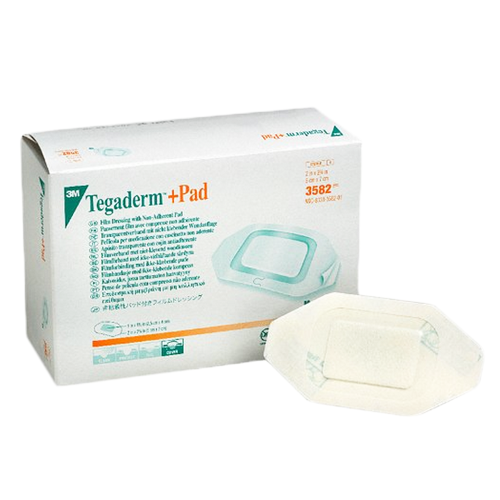 The Tegaderm has been consistently dry and the pad area keeps the original dressing intact. 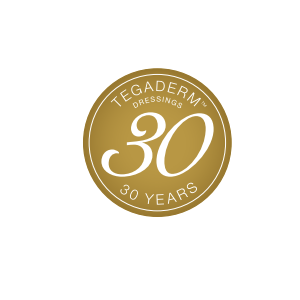 We have tried other brands which may save a few pennies but in the long run we come back to the Tegaderm because of it's dependability. 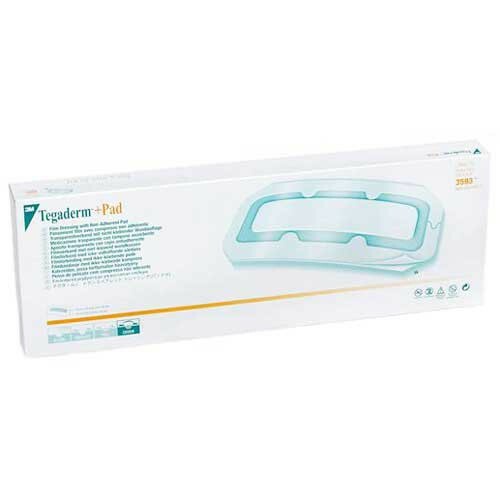 Wash your hands with the dressing pad on!! I am such a clumsy person that I have cuts so often. 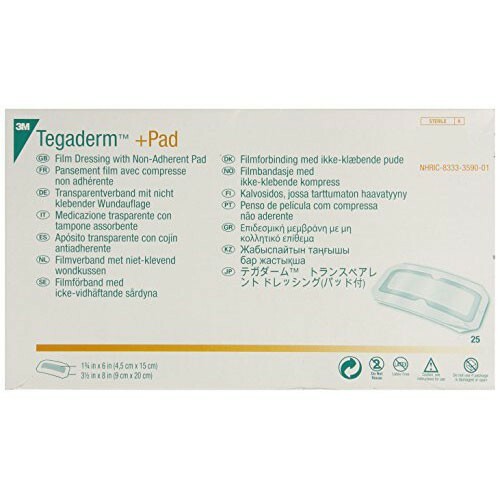 It's so annoying because after you wash your hands the pad usually gets loose. However, it didn't happen with this. Love that it's waterproof! I know that there are a lot of products that say they are waterproof but not but it is so true!! you can trust me! What's more, it's from 3M.